The world of striped mesh dresses and more!! This is my first ever blog post (and hopefully there will be many more to follow :-)). 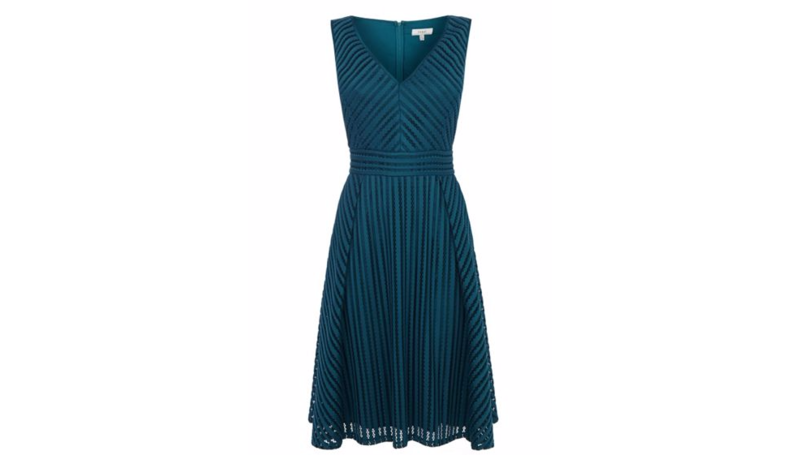 I absolutely adore dresses made from air mesh or striped mesh fabric. Dresses, skirts and tops made from this fabric in different colors and styles have been out in the high street for a little while now. 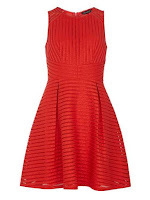 Getting back to the post, I first spotted a striped mesh dress on the fashion blog "stylishpetite". Fell in love with how girly the dress looked on the very stylish Annie. Since I live in the UK, my search for striped mesh garments started in the high street stores here. I spotted two dresses of this kind in Warehouse. However, the cut of the dress did not flatter my body and I sadly decided to return it. For some reason, I gave up looking for such dresses and even before I realized it, I had forgotten about them! Then last month I stumbled upon a dress..a mesh striped dress on the H&M website.. But at that time it felt quite a bit like that! For all I know, the dress would not have fit me well , but the fact was I would never know! Even Tu clothing, clothing range of Sainsburys, had a striped mesh skirt in their range at the time I was looking. To satisfy my hunger for "the" dress I ordered quite a number of dresses and skirts from DP, H&M, Coast, Anita & Green (via Brand Attic) and Warehouse (via ASOS). Just to mention, the sizing and fit were different in each of these stores. After various catwalks in front of a panel of judges (hubby & son- in case you were wondering), I decided to hold onto the dresses from DP, Coast & Anita & Green and a skirt from H&M. I am absolutely in love with the pieces I picked up. Our family of 3 wanted to unleash our creativity in the virtual world. E. R. N. Creations is our creative outlet to share some of our experiences and interests with you. The three alphabets E, R and N are the first letters of the names of the baby, mummy and daddy in our family. We hope you enjoy our journey as much as we do in the world of blogging.